One of the most famous stretches of sand in the Western Caribbean is Seven Mile Beach on Grand Cayman. There’s something magical about the powdery soft sand, even if it is really closer to five miles than seven. This coveted beach is great for sunbathing and as a jumping-off point for fishing, snorkeling and diving trips. 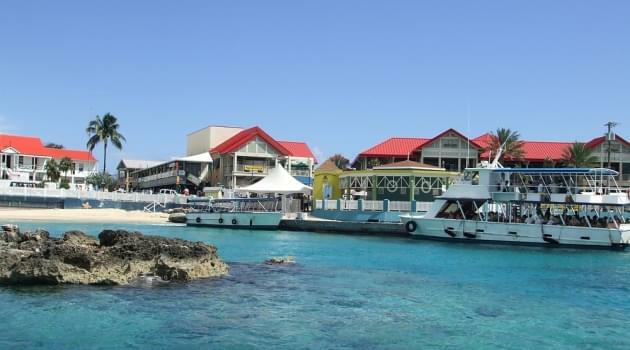 Grand Cayman is part of the Cayman Islands, which also include nearby Little Cayman and Cayman Brac. These islands rank on many “best of” lists because of their clean and pretty beaches; excellent snorkeling and diving in crystal-clear water; great food and restaurants; and plentiful accommodations, ranging from guesthouses and condos to hotels and resorts. The islands are easily accessible with miles, with plenty of award flight availability. There aren’t a ton of options for paying for your stay on Grand Cayman with hotel points, but there are enough that you’ll be able to pull off a fantastic—and nearly free—trip. The flight to Grand Cayman from any of the above-mentioned cities is pretty short—about three hours from Houston—so redeeming an award in the economy cabin makes the most sense. The saver fares for round-trip award tickets on American Airlines, Delta and United cost 35,000 miles in economy and 60,000 miles in business. First class flights on American and United cost 80,000 miles, but you can’t buy first class tickets with Delta SkyMiles. JetBlue’s awards are based on the current cash price of a ticket. If you can fly during the low season, round-trip off-peak MileSAAver award flights from American Airlines are the best deal at only 25,000 miles in economy. If you want to visit the Cayman Islands and stay at a hotel using points, your options are limited to four properties on Grand Cayman. All of these, with the exception of Wyndham Reef Resort, are on Seven Mile Beach. The following are your best bets if you want to minimize the number of points spent out of pocket. If you’ve got a stash of Marriott Rewards points, the Grand Cayman Marriott Beach Resort is a good option. You can spend additional points if you’d like to book an upgraded room. Are you points-rich? If so, stay at the luxurious Ritz-Carlton, Grand Cayman. You can book with Ritz-Carlton or Marriott points or transfer Chase Ultimate Rewards points to the Ritz program. As with the Marriott, you can use additional points to upgrade your room. To put this in perspective, you can fly to Grand Cayman and stay for seven nights for just a few credit card bonuses. For example, you could book a round-trip off-peak MileSAAver award flight from American Airlines for yourself and a companion for just 50,000 miles. The current sign-up bonus for the Citi AAdvantage Executive World Elite MasterCard is 75,000 miles. 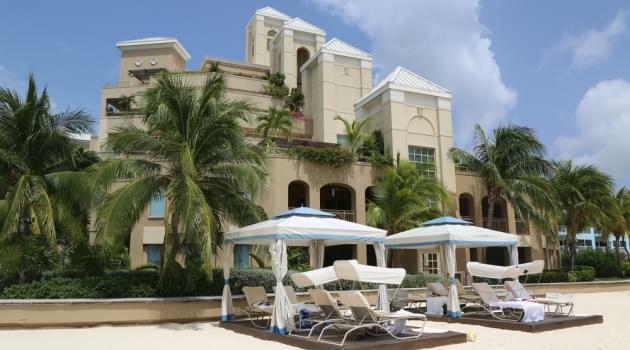 Then, you could stay seven nights at the Westin Grand Cayman for 84,000 Starpoints. You’d get a big chunk of the points you’d need by signing up for both the personal American Express SPG card and the business version of that card. They both carry big sign-up bonuses — 75,000 points and 100,000 points respectively. The Caymans are beautiful at any time of year, so whenever you need a getaway, consider booking an award vacation to Grand Cayman.